Monument is the sophomore album by Turkish death metal squad, CARNOPHAGE, and advancing the album's September release via Unique Leader Records, the band hurtles a new single into the masses early. Join the "Resistance Against Mind Clouding Heresy"
Monument will be released September 23rd, 2016 via Unique Leader Records. The previously-issued "At The Backside Of Our Civilization" can be heard below. Preorder Monument at THIS LOCATION. 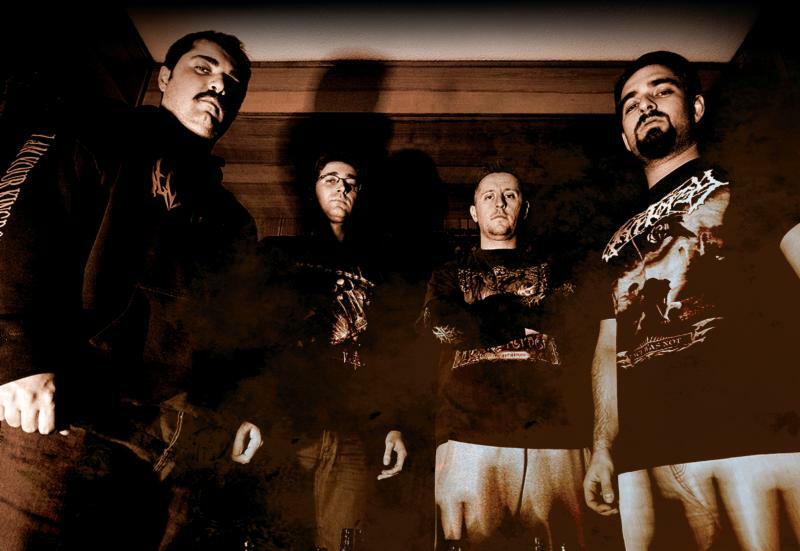 Monument was recorded by Unsal Ozata at Studio Deep (Burial Invocation, Cenotaph, Decaying Purity, Inhuman Depravity etc. ), mixed and mastered by Sasha Borovykh at TsunTsun Productions (Cerebral Effusion, Soils Of Fate, Epicardiectomy, Fleshbomb etc. ), and comes adorned in the tormented, Baroque-era influenced cover art of Cihan Engin. Boasting an inexorable assault of jackhammering blasts, churning riffs, and inhuman death grunts, Monument is true exercise in controlled chaos and, following an eight-year dormancy, finds the band at the peak of their methodical and unapologetically diabolical ingenuity. Chtulhu for President. Why Choose the Lesser Evil?